The Nowruz Festival will be held March 15 at John Carlyle Square Park in Alexandria. 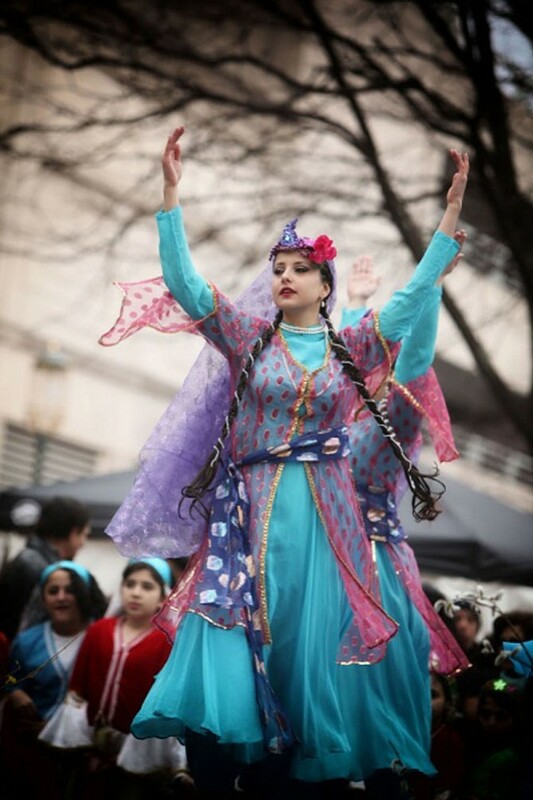 Following 3,000 years of customs and traditions, the colorful Nowruz Festival — the Persian New Year celebration — will be held Sunday, March 15 at the John Carlyle Square Park near the King Street Metro in Alexandria. For the past three years, the family-oriented festival was held at the Reston Town Center and had 20,000 visitors along Market Street. #Nowruz, which normally falls in early Spring, is when Persian-Americans will join locally to celebrate the new year. There will be 55 vendors offering traditional and exotic foods as well as jewelry, artwork, crafts, and other traditional Persian products. A main stage will be set up that provides entertainment with 60 musicians, dancers, artists, costumed characters, and traditional players. Photo Contributed The Nowruz Festival, which celebrates the Persian New Year, will be held Sunday, March 15 at John Carlyle Square Park in Alexandria. * * * #"The Norwuz Festival is celebrating the Persian New Year but it is also celebrating birth and life and rebirth," said organizer Shohreh Asemi. "Anybody can come and share the celebration with us and learn about Nowruz, and enjoy entertainment, music and be part of this wonderful atmosphere of love and fun and entertainment." #The Nowruz Festival is a family-friendly, fun celebration that celebrates life, love and good will. Of all the Persian national festivals, the New Year celebrations are at once the most important and the most colorful. 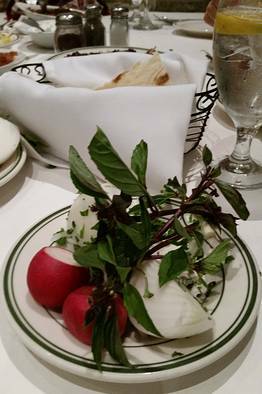 #The venue provides a fun place for people to celebrate with family and friends, to taste Persian food and enjoy traditional and modern Persian entertainment. Among the traditions, is a ceremonial table called the cloth of seven dishes (each one beginning with the Persian letter Sin). The symbolic dishes consist of Sabzeh or sprouts, usually wheat or lentil, representing rebirth. Another is Samanu or a sweet, creamy pudding. Another is Seer, which is garlic in Persian, which represents medicine. #In addition to attracting people from Virginia, Maryland and the District, this year, organizers hope to attract international guests from other countries that celebrate Nowruz, including Turkey, Afghanistan, and Tajikistan, among others. #This year's goal is to share the Nowruz Festival with both Persians and non-Persians. The event sends out positive messages, like celebrating earth, spring time, love and peace to the community. 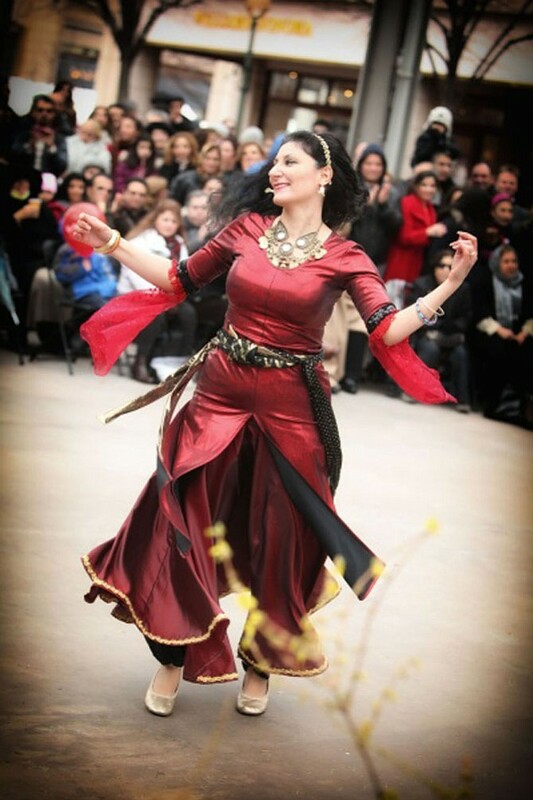 Planners want to bring different musicians and dancers from other countries that celebrate Nowruz, as well as new musicians that offer more variety to the festival. They also want to bring different historical and costumed characters from Persia (like Haji Firuz, a traditional herald of Nowruz dressed in a red costume and tambourine) that will interact with the crowd.